Once upon a time, pigs would have to build a house of bricks to keep the wolves at bay, but not anymore. In Iron Snout, its hero piggie has taken up learning martial arts and now it’s the wolves that need to keep their distance because in this bonkers button-mashing beat 'em up, bacon is off the menu for good. Only, hand-to-hand combat isn’t the only way to fight off hordes of wolves, so when the going gets tough, the tough picks up a butcher’s cleaver. After all, how else are you going to defend yourself against wolves that ride wrecking balls and wield chainsaws? It may have been a wolf eat piglet world once before, but this time, the tables are turned in this addictive fighting game that’s got to be played, to be believed. 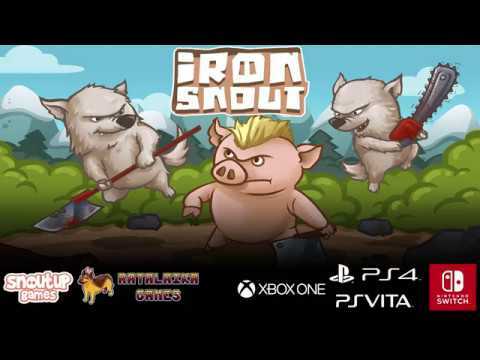 Iron Snout was released on Switch 4d ago in the US and the UK. Notify me when Iron Snout is available.